Can the World’s Second-Largest Economy Slow Down Without a Crash? Now that the Chinese Communist Party Congress is over (it ended in late October), President Xi of China is more powerful than ever and ready to take strong measures to clean up inefficient state-owned enterprises (SOEs) and dangerous shadow banks. That cleanup task has now begun. On the one hand, it’s necessary to weed out loss-making SOEs and to shut down excess capacity in steel, cement and construction. Demand needs to be rebalanced away from wasteful infrastructure investment toward self-sustaining consumption of goods and services. This is needed to ensure China’s long-term growth. On the other hand, the short-term costs of attacking inefficiency mean a slowdown in the Chinese economy. There are really only three paths for China right now. China can make token efforts, in which case they run the risk of a liquidity crisis and financial panic sooner than later. China can make serious efforts, in which case they will suffer a short-term recession in exchange for more sound growth going forward. Finally, China can try a middle path of muddling through, in which case they will experience a lost decade like Japan in the 1990s and the U.S. in the 2010s. The problem is that China is the world’s second-largest economy and provides about 15% of global GDP. A 15% slowdown in Chinese growth (from 6% to 5% growth) means a 2% slowdown in world GDP, a huge impact. What happens in China does not stay in China. 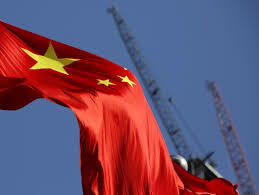 As this article describes, the coming slowdown in China will affect the U.S. economy and U.S. markets in unforeseen ways. Click here for the proof.